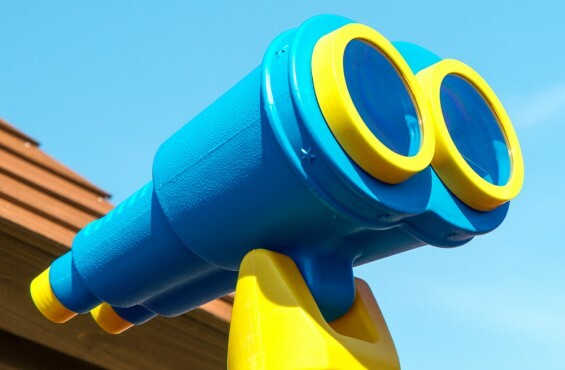 These oversized, green binoculars offer great investigative possibilities for your backyard explorer. Mount these non-magnifying binoculars to your child's swing set and introduce him or her to the world of outdoor imagination. The plastic yoke is easily mountable to most wooden swing sets. The included mounting hardware keeps installation quick and easy. 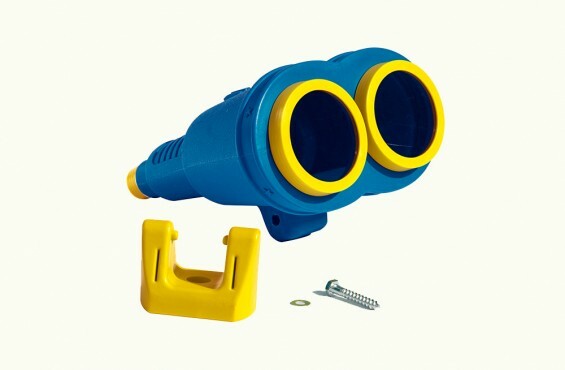 Whether spying out adventure from the upper deck, or solving mysteries from the lower level; your little ones will delight in the swashbuckling expeditions and wild journeys these binoculars will spark.